By enacting flawed laws and writing regulations that lack proper prescription and predictable rules, Parliament, and State officials are creating ‘quasi-law’ which gives enormous powers to the State, without any hint of proper court accountability. What this means is that we’ve turned into an ‘administrative state” where officials use their discretionary power to do all kinds of unreasonable things. 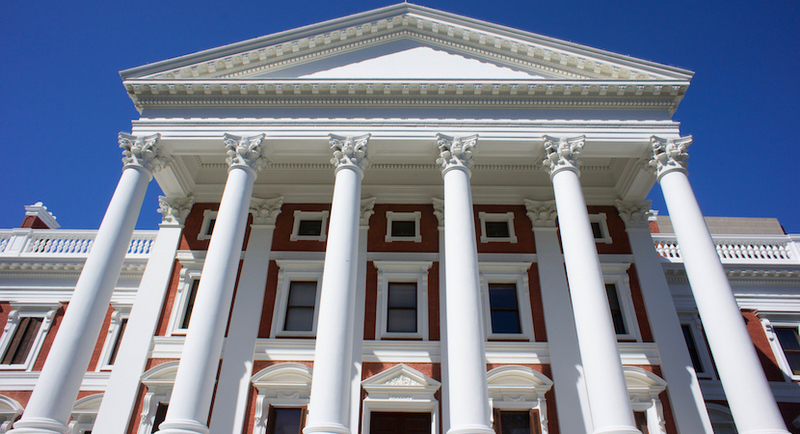 Their actions may be overturned on legal appeal, but can be repeated ad-infinitum – because the courts don’t write the rules, just interpret them, says Free Market Foundation analyst Martin van Staden. To illustrate the heights of impunity to which this can inspire officials to fly, he cites the Minister of Telecommunications confidently declaring South Africa’s new telecommunications policy “final” months before his own department released the socio-economic impact assessment. Van Staden asks how a policy can be final before the public knows whether or not it will be beneficial? More often this kind of thing happens lower down the administrative chain as faceless, nameless officials begin to rule every facet of our lives. What we’re left with is corporate micromanagement of society, where the consent of the governed is only gauged once every five years. It’s the kind of dangerous subtlety that easily gets lost in our daily dirty wash of outright corruption and incompetence. – Chris Bateman. 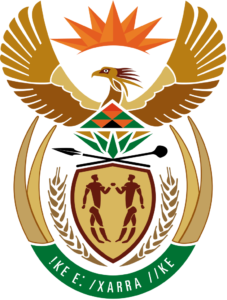 In a society that respects the rule of law – an imperative in section 1(c) of South Africa’s constitution – laws are made by Parliament, administered by the executive, and adjudicated by the courts. The executive, crucially, cannot make law, but can enact regulations that enable the technical implementation of the substantive rules created by Parliament. Frohnen and Carey, however, write that all three branches of government have become accomplices in this phenomenon. In South Africa, quasi-law is most evident within the ranks of our executive government. The Department of Trade and Industry (DTI), acting without a mandate, is in the process of effectively banning the sale of alcohol, and the Department of International Relations and Cooperation tried to withdraw South Africa from the International Criminal Court by mere executive fiat. Thankfully, the High Court found that the latter instance was invalid without parliamentary approval, but, in the case of the former, our judiciary is likely to ‘defer’ to the ‘expertise’ of the DTI. It is often assumed that the rule of law is limited to enforcing existent laws. However, the rule of law does have more substance than that. Its principal tenet is that those who administer the law, mostly government officials, must do so in accordance with strict guidelines and rarely, if ever, according to their own discretion. Discretion, it is argued, enables officials to more appropriately adapt their decisions to the circumstances of the matter in hand, but it is incorrect to assume that adherence to reasonable, understandable, and certain guidelines necessarily inhibits effective governance. Take, for instance, the power of mine safety inspectors to close an entire mine if they, in their opinion, believe “a health threatening occurrence has occurred”. This happened recently at an AngloGold mine where one faulty shaft led to the entire facility being forcefully closed. While the High Court held that the inspector had acted irrationally, it did not, however, pronounce on whether the empowering legislation itself was problematic. The legislation, after all, allowed the inspector this discretion. Read also: New index of economic democracy: Can it predict sweeping change in countries? The Mine Health and Safety Act, and this provision, in particular, is quasi-law and does not accord with the constitutional principle of the rule of law. It serves only to assign a discretionary power to an official, with no real criteria to which they should adhere. It would not preclude effective governance if the law in this case provided that the inspector should at least be able to show that his concerns are valid and allow the mine to similarly state its case. Good governance would require the inspector to apply to court for an interdict prohibiting the mine from further operation which will put the matter before an impartial bench where both parties can lead evidence to support their respective cases. This is what would happen in a rechtsstaat – a state governed by law – but not what is happening in the South African administrative state. Countless examples of this quasi-law are found throughout our regulatory regime. Our Constitutional Court has held, in essence, that under the Currency and Exchanges Act, the President can do as he pleases, even to go so far as to suspend in part or in whole legislation that deals with currency, banking, or exchange. Only one judge dissented, pointing out the obvious: that the President has been empowered to rule by decree. The Short-Term Insurance Act empowers the Registrar to refuse to register an insurance provider if he deems it in the public interest. “The public interest” remains blissfully undefined in this Act, as it does in countless other pieces of legislation. Public participation in creating policy is also becoming a bizarre exercise. The Minister of Telecommunications, for instance, felt quite confident in declaring South Africa’s new telecommunications policy “final” months before his department released the socio-economic impact assessment done for the policy. How can a policy be final before the public knows whether or not it will be beneficial? 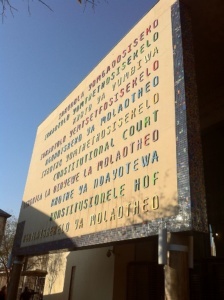 The Constitutional Court has, more often than not, been giving Parliament’s delegation of powers the stamp of approval under the guise of ‘deferring’ to the legislature’s competency. Our elected representatives are allowing faceless, nameless officials to rule every facet of our lives. Governance is now perceived by those in power as a corporate micromanagement of society, where the consent of the governed need simply be vaguely gauged once every five years. To this, South Africans must stand up and say “nothing about us, without us”.